Summit Preparatory Charter High School juniors Nick Carrasco and Bella Weiss started Prep’s Gay-Straight Alliance to help support LGBTQ students and allies. However, the club stopped meeting during the first semester and hasn’t been able to restart. 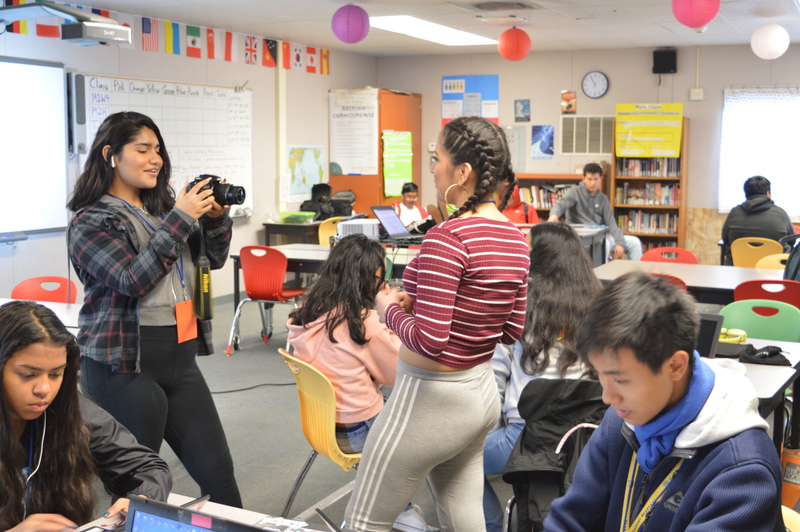 Carrasco and Weiss started the club because Summit Prep didn’t have one, and they thought it would be a good way to contribute to society and bring the community closer together. In GSA, they discussed many issues, including discrimination and bullying that the LGBTQ community faces, and aimed to open up a space where people can be themselves. Both Carrasco and Weiss faced bullying in middle school after they came out. Weiss said, “No one talked to me.” In the GSA, they offered support to people who had similar experiences,, as well as other general support, advice on coming out, how to deal with issues around family acceptance, even just someone to talk to. The GSA isn’t meeting right now due to the fact that the club’s adviser is no longer at Summit Prep, and both leaders are juniors, causing them to have a very busy school schedule and not enough time to devote as much effort as they would like to the club. Both said that they really wanted to meet but there just wasn’t enough time in both of their schedules, and the club only had a minimal number of members. Carrasco and Weiss both said they would be open to restarting the club up again, but their busy schedules and lack of adviser prevent it for the time being. They also said they would be open to another student taking over the club because they already have the approval for the club. Carrasco and Weiss want to continue this resource and to build a support system for members of the LGBTQ community at Summit Prep. They hope someone will carry on this work next school year.